"Horse King of the World"
"William P. Hall stands on the road in front of his farm in Lancaster, Missouri in 1913. The Railroad car on the right was used as an office and sleeping area for the elephant trainers." William "Buckles" Woodcock, Jr.
All major turning points in history start with small ripples. This was the case with William Preston Hall. His story began in the 1800s rural town of Lancaster, Missouri. He was orphaned, but grew up determined to have a good life. He never imagined his generosity and shrewd business sense would impact history world-wide. "Diamond Billy" made millions doing what he loved - buying and selling horses around the globe. This "Horse King of the World" sold to generals in the Second Boer War, allies in WWI, and city officials in neighboring towns. 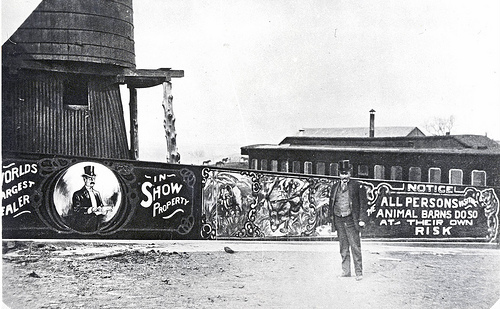 He expanded his dream to include the circus; his innovative ideas kept small traveling circuses performing and impacted the industry for years to come. 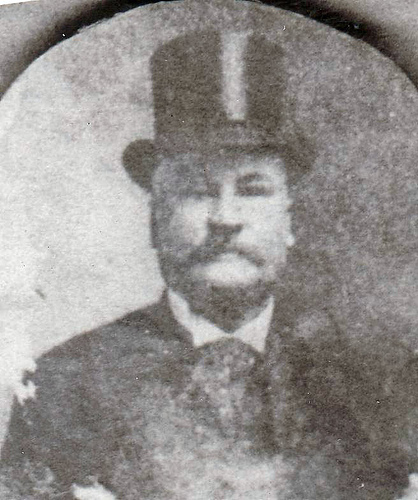 "Colonel" Hall's success also put Lancaster on the map and helped the rural town to survive.